I met Glenda Shawley in January 2016 when she came along to my ‘The Year of the Book’ workshop, in which writing productivity guru Bec Evans and I helped a small group of entrepreneurs get clear on the book they wanted to write and plan how they were going to achieve it. By Christmas of that year, she was holding in her hand advance copies of Founded After 40: How to start a business when you haven’t got time to waste, the first of the books to come out of that session (another one was self-published earlier this year, and I’m publishing another two shortly). In this episode, Glenda reveals how she did it [spoiler alert: Steven Spielberg helped], with lots of practical tips for linking the book with the business and building a community around it, and reflects on what the impact has been for her, personally and professionally. If you ever find yourself thinking, ‘Well, of course it’s easy for YOU…’ as you listen to illustrious best-selling author celebrities on this show and others, this will be a refreshing and challenging insight into how a small business owner without a big existing platform got on and did the work, and is reaping the benefits. Alison Jones: Hello, and welcome to the Extraordinary Business Book Club. I’m so excited to be here today with Glenda Shawley, who is the founder of The Training Pack, Helping Small Businesses and Entrepreneurs to Grow. But also, most excitingly, she is the author of Founded After 40: How to Start a Business When You Haven’t Got Time to Waste, which was published by Practical Inspiration Publishing in January 2017, so she’s one of my authors. Hello, and welcome to the show, Glenda. Glenda Shawley: Thank you Alison. I’m delighted to be here and delighted to be one of your authors. Alison Jones: Let’s just start with you, Glenda. Just tell everybody a little bit about your background and where that compassion for helping people found their businesses after 40 came from? Glenda Shawley: Well, it’s probably going back to my own roots in business. I had an almost 20 year career with Marks & Spencer. I managed to time the birth of my first child with the period when they were making a whole load of middle managers redundant. Glenda Shawley: When Pippa was a month old, they offered me a package which was very hard to refuse, and I really felt that that was the opportunity to do what I had always thought I’d love to do and run my own business. My last job with Marks & Spencer had been managing their nationwide trainee scheme, which involved introducing national vocational qualifications. I thought that that was the direction that my business was going to take but the universe had other ideas. I was quite quickly invited to do various projects with smaller retailers or people going into retail careers. I discovered that the owners of small businesses who needed help, both in time and skill. Out of the early projects that I did came that love, partly of the small business but also of marketing, because one of the first projects that I won was a shared project with another consultant who was a marketing expert and she was absolutely determined that by the end of our project, I would understand marketing. I really did. I mean, I really got to like her a great deal as well and we went on to do a number of projects together. But it was that love of marketing and that love of helping a small business to tap into who their ideal client is and how to reach them. Alison Jones: Did you find it a big change, you know, going from one of the country’s biggest companies into the small business world? What did you notice? Glenda Shawley: A lot of it was, it was quite isolating so I was really glad to have projects with other people so there was somebody to bounce ideas around with because at that time you can lose a bit of self confidence when you have a child and leave big business and they sort of cast you off without much of a parachute. So having other people around was great. I was quite lucky in that one of the first contracts I won was teaching a group of YTS trainees for Marks & Spencer, so they did have me back, which was a little bit… ‘I’m not completely on the scrap heap.’ That was good. The thing I had to learn was that no longer was there a backup team. I couldn’t say to a secretary, “Will you type this for me?” And I couldn’t send invoices to the finance department to pay. All that kind of thing. Alison Jones: Oh, I hear you. I think the thing I miss most, I don’t miss that much honestly, I love entrepreneurial life, but I do miss my IT department. And stationery. Glenda Shawley: Yes, I could have used them this morning. Alison Jones: Yes. We’re actually recording this interview an hour later than scheduled because of some technical hitches, but it’s fine. Alison Jones: We’re just rolling with it. And I love the point you make too, about the emergence of it. When you set up on your own, and I know this happened to me as well, you have a fairly clear sense of what you think you’re going to do and if you’re like me, you had a business plan all plotted out as well with each month’s revenue in it. Fairly soon, you realise you can just really tear that up and see where the next step takes you because the new opportunities you hadn’t even thought about open up, don’t they? Glenda Shawley: Absolutely. I never actually got to that part of the business plan where I put in the revenue because the phone ran twice in two days with an offer of work. That was the push that I needed. I could probably have carried on talking about it forever without actually taking the leap, but having those two opportunities presented to me… I was very lucky that, one person who was made redundant from Marks & Spencer at the same time as me went to become the General Manager of the National Retail Training Council and she had lots of people ring her and say, “Do you know somebody who can…” and so she put my name forward for a whole load of projects and I said yes to most of them, which wasn’t necessarily the best idea, because it did mean that I did all sorts of different things rather than being very clear about what it was that I did and who I did it for. So I would say that’s a mistake that I made. I still feel that that was beneficial to me. That’s almost 25 years ago. Glenda Shawley: I’ve been through, I don’t know, three or four recessions and had to change the business in response to what people were willing to invest in at that time. So having that background of lots of different things and having a few different experiences and different contracts on my CV has been really helpful for surviving those recessions. Alison Jones: I think that’s a really practical point. I mean, ideologically as well, I like the idea of Renaissance woman. I think you bring different areas from your background and you put them together and you get something unique and creative. But I think pragmatically it’s good to have a number of skill sets as well, isn’t it? Glenda Shawley: Absolutely. When people say, “What’s your USP?” Well, it’s me, because there’s nobody else with that mix of experience that I’ve got. Alison Jones: Yeah, that’s a very well made point. Let’s talk about your book now, Glenda. I don’t know, many people might know this if they already know you, but you came to my book workshop in January 2016. Alison Jones: And by Christmas of that year, you had your book in your hands, didn’t you? Glenda Shawley: I did! How exciting! If you had asked me at the beginning of January, before the workshop, would I have the book in my hand by the end of the year, I’d probably would have said, “I’d like to” but without any real belief that I could. But coming on the workshop really helped me to work out that I could do it. Then the support you gave me afterwards helped me to work out what the book was, because people have been telling me for quite a long time that I should write a book and I really just couldn’t find what that book was. So doing the workshop and then working with you afterwards and the research that I did really sort of made it very clear to me what the book should be. Glenda Shawley: I think it was you saying to me, “You need to go and do some research.” I knew I should do some research because that’s what I tell all my clients but sometimes you fail to look at what you would tell your clients in your own business. Doing the research and then going out to people and asking them what they were struggling with and what they needed and what kind of a business book they would read, they came back with, “We’d love a step-by-step how to set up a locally based business, not one that’s on the internet.” Then when I looked at who the respondents were, most of them were over 40 and they had all done something else before they came to the business and I think that was the big “aha” moment, not only for the book but actually for what the niche was that I should be serving in my business. Alison Jones: That’s important isn’t it? Actually, we talked a lot about this, how the business comes first and drives the book. And you had made that shift towards targeting that business niche and the book came out of that. Glenda Shawley: Yes, absolutely. At my advanced years now, it fits really well with who I am. I have so much more credibility in that market, I think. Alison Jones: Yeah, I think for either of us it would be pretty hard to set ourselves up as the Millennials’ coach, wouldn’t it? Alison Jones: Right. Well, an awful lot, but yes, it’s in a different space. Glenda Shawley: It is. It is. Alison Jones: Credit to you too for just getting the work done. I think there would be lots of people going, “How? How did you do that? How did you find the time? How did you just keep on keeping on and get it done within that framework?” What’s your secret? Glenda Shawley: I think the first secret was that you gave me a deadline. You gave me work plan with what needed to happen to get the book out for when I needed to do it if I wanted to achieve my publication deadline. The second was that my son, very fortuitously, landed a job on a Steven Spielberg movie, which meant that he had to be out of the house by a quarter to 6 every morning and he’s not a natural morning person. Because I didn’t want him to be driving faster than he should down the M25 and because I didn’t want him to be late for Spielberg, I was getting up to get him out. As soon as I knew he was on set and safe I was able to concentrate on my book. And that was about 6:30 every morning and I’m not a natural morning person either but I discovered that I could write for a couple of hours or even a bit longer each morning. That meant I could really break the back of a chapter in a couple of days so I think that was the trick really. Alison Jones: That’s brilliant. I love that about your son being the kind of unwitting accomplice in helping you get up. Glenda Shawley: He was and he was really very proud of the book, you know, anxious to give it out to people once we got it published. That was really good that he had a part in that. Glenda Shawley: There was a bit… I wouldn’t say they were really dark but I did have some wrestling with one particular chapter and it was the chapter on marketing. I think that’s probably because that’s where I see my expertise and there was so much to write. I made three attempts at writing it before I realised that it wasn’t one chapter, it was two. Once I worked out what those two chapters looked like, I got over it and it took shape again then. Alison Jones: Yes, I remember that. It’s interesting, isn’t it, that when you are very very close to a subject, it’s not harder, but it’s a different kind of hard, isn’t it, because it’s hard to take yourself out of everything that you live and breathe and know so instinctively and put yourself in the shoes of the reader who hasn’t grown up knowing this stuff? Glenda Shawley: Absolutely, because you can overload people with information, really. As we’ve talked about, the book is only part of the offer that I’m planning over the next year or so. And so, I realised that I didn’t have to have everything in the book. I could take people so far with the book, and then a training course or a membership site could take them that bit further. Alison Jones: Yeah, and that’s a really core part of what I do with people, is the book is part of it and then actually how does that fit in and what’s the journey through the whole thing. One thing that you’ve done which I love is your workbook. Just tell us a little bit about how that works alongside the book and how it kind of builds that offline online relationship. Glenda Shawley: Well it comes back from the research that people said that they wanted something very practical and that was going to help them with the step by step process. I see myself as being pretty practical anyway. I felt that people wouldn’t want to … There needed to be exercises in the book but people wouldn’t necessarily want to deface their books, and so the idea of having a workbook that they could then use as a sort of informal business plan that might feed into the formal one if they needed to present their financial arguments to the bank or some of the funders. For most of us, a rough business plan that sort of works through the process of all the different things they needed to consider would work. I thought that the workbook would allow people to do that and would allow me to add a few extra exercises that didn’t quite fit within the book and the word could that we were looking at. Alison Jones: I think that’s a really good point about not wanting to deface books because often people come to me and they say, “You know, I want to ask questions and leave space for answers” so on. If you think about it, most people don’t write in books. I don’t know whether it’s purely a cultural thing or whether it’s because it’s actually quite hard to just put a bound book down. It doesn’t lie flat, unless it’s a workbook. And also, you might be reading an e-book. You might be looking at it on your Kindle or your iPad, on your Kindle app or whatever. Alison Jones: Yeah, there’s a different way that you engage with a book and it’s more kind of sit back and take it in, whereas with a workbook, you’re actually engaging people actively. They’re two different modes of engagement, aren’t they? Glenda Shawley: They are. I really wanted the book to be inspirational but really practical to help people who were going to start a business and workbook just seemed to be the way to be able to do it and give people something that they took beyond the life of reading the book. Alison Jones: From your perspective as well, absolutely, this is all about the reader and the reader’s experience. Of course. However, it’s really nice, isn’t it, that they come to your site to download the workbook. Glenda Shawley: Yes, it is. And I did find that some people, because the workbook is really quite meaty, and there’s sort of 70 odd pages in there, some people were reluctant to download it and started asking me for a print version. I solved the problem of how to do the print version at an affordable price and now I’m offering that at extra cost for those who want it. Alison Jones: And of course, that feeds directly into courses and so on, doesn’t it? Alison Jones: I just love the fit there. It’s brilliant. Alison Jones: Exactly. Yeah. And so you’re adding to your mailing list but actually they are getting something really valuable in return. Which is of course how marketing works. It’s a transaction, it’s a trade, isn’t it? They get something of value and they give you permission to talk to them, in return. Alison Jones: If anybody listening is thinking about creating a workbook to go alongside their book, for all the reasons we’ve just talked about, are there any sort of top tips you’d give them, things that you discovered in the course of doing yours? Glenda Shawley: I think probably just to try and keep it quite simple and to be clear about where the link is between the workbook and the book. Are you going to put extra instructions in the workbook or are you simply going to use the book and expect people to have both open side by side? Alison Jones: Yeah. We’ve got a nice icon that goes in the book to indicate where the workbook comes in. Glenda Shawley: We have, yes. Alison Jones: In a sense, both of them can stand independently, can’t they? There’s enough information in your workbook that somebody could just have that and use it. And it’s branded so actually, if somebody were just to had it and not buy the book, you’ve not lost anything in a sense because they’ve got your marketing brand all over it. Glenda Shawley: Absolutely. And they’ve got the website and the Facebook group in which they can get some additional support as well, so yes. Alison Jones: It’s a lovely funnel, I think, Bryony Thomas would call it, wouldn’t she? Glenda Shawley: I hope so. It’s certainly part of the customer journey and delighting the customer, I hope. Alison Jones: Absolutely. What about you, Glenda? How did writing the book change you personally and professionally? What’s been the change since it’s come out? Glenda Shawley: I think it made me step up and sort of step into the space that I really should have been occupying for a number of years. I think those people who’ve known me over a period of time would say that I’ve become more confident. They were much clearer about what I do and who I do it for. And I can really see the way now that my business can develop on the future because I have no intention of retiring but my husband has retired and it would be nice to be able to take a little bit more time, sort of travelling the world and doing nice things, but without having to give up the business as well. The book is pivotal to that, really. Building on that. Alison Jones: I loved that phrase that you used about stepping up. That’s really interesting. I see that as well. I see it in quite a lot of my authors. Do you think it is something about the visibility or is it something about the rigour of having gone through the writing process, or is it both? Glenda Shawley: I think it’s both. I do think the rigour of writing process and that little voice inside your head that says, “Who am I to write this?” Or “Who do people think I am?” The way that you build yourself up to say, “I do know something and it is valuable and people have asked for this.” I think that can all help, as well. Alison Jones: You got beta readers. How did that work professionally? Glenda Shawley: One of the things that people had said to me in the research was that they wanted to have case studies from other people who had been there and done it. But they weren’t looking at the Richard Bransons of this world. They wanted people like them. So I reached out to my network and my key network is Fabulous Women and Marvellous Men gave me access to a lot of people and lots of different roles. I asked them for stories specifically on key things that I wanted to illustrate alongside the book. I interviewed about 15 people who contributed a little bit for different chapters. Alison Jones: I love that, because it’s great to get their insights as well and their anecdotes. It makes it a more richly textured book, doesn’t it, from different perspectives. Glenda Shawley: Absolutely. And it’s great because they’re now promoting the book for me as well because they’re in it. That’s easier on the website. They’ve got links so there is something in it for them as well. But I think some of them also found the process and the questions that I asked were quite enlightening as well. One of the things that I discovered was that lots of us set up our businesses without finishing the business plan and without being absolutely clear what we’re doing, without having the structure. And so a lot of the readers now are those people who have started their businesses, but didn’t actually put everything in place to begin with. So that’s been quite an interesting journey as well, in terms of who’s reading it and what they think. Alison Jones: That’s quite reassuring, actually, in lots of ways, isn’t it? Glenda Shawley: It is. And as you said, they network were good at reading chapters for me and giving feedback. The person who gave me the most detailed and honest feedback was my sister and I’m eternally grateful to her because she didn’t pull her punches and I think that’s always good. I didn’t necessarily agree with everything she said but she certainly made me take a fresh look at it, whereas some of my other readers were perhaps a little bit too gentle and a little bit too kind. Alison Jones: That’s interesting. I wonder if they just genuinely liked it? Glenda Shawley: Well, yeah, I do think that they probably did, but they perhaps didn’t read it with quite such a questioning brain as my quite clever sister did. I think you need somebody to challenge and to say, “What do you mean by?” Or “I don’t agree with.” You don’t have to take it onboard but it makes you think again, is this clear? Have I duplicated? She picked up on a couple of examples that I had used more than once, which was helpful as well. Alison Jones: Yes, I think getting the right person who, as you say, has got that deep investment in you and cares positively about you but is prepared to tell you when something isn’t working, it’s quite a tough call, isn’t it? Alison Jones: There’s not that many people out there so if you find them, treasure them. Alison Jones: Yeah, absolutely. I was going to ask you, what’s your one best tip for a first time business book author. Is that it or is there another one you want to make? Glenda Shawley: It’s get a coach. Alison Jones: Are you thinking of anyone in particular, here, Glenda? Glenda Shawley: I do think that a coach who actually understood business as well as publishing was incredibly helpful. Alison Jones: That’s good to hear. Glenda Shawley: I think we need to have somebody who can hold us to account, who could encourage us when we hit those little wobbles, who really knows those hurdles that we need to get across and what we’re trying to achieve. I found it incredibly helpful and I think most other people would too. Alison Jones: I’m smiling because I’m very very pleased to hear that. I’d just like to make it really clear that I did not solicit that in any way. Glenda Shawley: No, you didn’t at all. I thought you’d like it. And I’m not grovelling. I genuinely believe that that’s the way to get it done. Alison Jones: Oh, brilliant. Well, it obviously worked for you. Alison Jones: Well, another question I always ask my guests is who would you recommend as another guest on this podcast, so someone with something interesting to say about the business of business books? Glenda Shawley: Right. This one’s a really easy one for me. My recommendation is Carrie Green, who founded the Female Entrepreneur Association four or five years ago. She’s just published her first book. It took her a lot longer than it took me to write my book. I think she reckons about four or five years. She published in February and she has already got 1000 five star reviews across Amazon.co.uk and .com. Glenda Shawley: And she’s done it because instead of using the book to build her community, she built the community and then used that for the book. I think her perspective on sort of a different way around of doing it. She’s an incredibly nice, open and honest person too and I’m sure she’d be a brilliant guest on the podcast. Alison Jones: I’m absolutely delighted with that recommendation because I know of Carrie but I don’t know her and she’s one of those people that’s kind of on my, “Oh, I’d love to get to know her” radar. To have the opportunity to go to her and say, “Glenda Shawley says I need to have you on the podcast” and get to talk to her for half an hour, that’d be fantastic. Great recommendation. Glenda Shawley: Yes, well I’m sure she’d be brilliant. Alison Jones: Brilliant. Thanks, Glenda. Glenda Shawley: I’m sure she’ll say yes too and get your diaries to agree with each other. Alison Jones: Yeah, and that’s always the challenging bit, isn’t it? Alison Jones: Now, if other people want to find out more about you, more about Training Pack, more about your book, where should they go, Glenda? 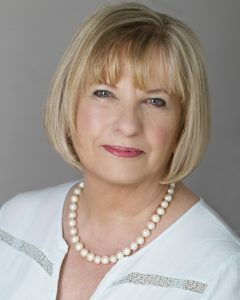 Glenda Shawley: Well the best place to start would be my Training Pack website, which is www.thetrainingpack.co.uk. Or for the book, and there is a link from the Training Pack website, but the book website is www.foundedafter40, and that’s 40 4-0, .co.uk. Or I have a Facebook group and I would love to see people in there and that’s Founded After 40. Again, 4-0. Alison Jones: Brilliant. And I will put all those links up on the show notes so if you’re driving, don’t worry, you don’t have to stop and pull over and write them down. It’s fine. You can go to the show notes and see them there. Alison Jones: But actually to do this kind of reflective, sitting down and looking back over the journey, I’ve thoroughly enjoyed it so I hope you have too. Glenda Shawley: Me too, thank you. And thank you with the help with the book. I’m sitting here with it, above my head on my book shelves and it really is quite something to see it right alongside Carrie Green’s and Bryony Thomas, but there’s lots of other stuff there as well and I’m so proud to have it. Thank you. Alison Jones: It’s right up there with them in every sense! Glenda Shawley: Just got to get the sales up to Carrie Green’s level now. Alison Jones: We’re working on it. All right, thanks so much, Glenda. Glenda Shawley: It’s a pleasure. Thank you, Alison. business, entrepreneurship, markting, productivity, publishing, writing. Bookmark.